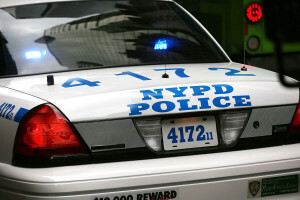 A Brooklyn couple was beaten bloody by a black mob of youths on Monday. The youths pulled the couple out of the car and beat them in the street. An intersection near Kings Plaza Shopping Center in Brooklyn became the scene of a brutal attack by a group of black youths against a white couple driving through, authorities say.